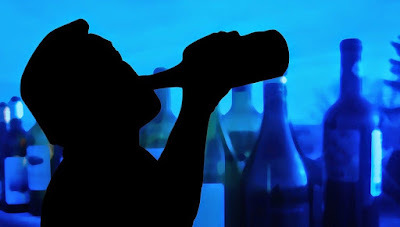 Alcoholism – Alcoholism became a fashion to many of countries among all over the world; it’s broad problematic things, which are damage the human being by health & wealth. Many people have start drinking alcohol occasionally or even amateur, but they don't know that they are trapped in an alcohol addiction. The dependence or addiction of alcohol could be psychological or physical disorder. Alcoholism is a broad addiction of alcohol in all over the world; it is a disease or an addiction in which the individual cannot function normally without the regular consumption of alcohol. Normally alcoholism is a huge harmful beverage to drinker's health, personal relationships, and social standing. It is also consider as a disease, disorder and an addictive illness in medical terms. The treatment of alcoholism is challenging not only because of social factors and its drinkers, but also because alcohol is spread easily in wide range at all over the world. It is not easy to stop abuse of alcohol or withdrawal alcoholism quickly. It is step by step procedure with patience to recover by alcoholism. If you are planning to quit the addiction of alcoholism then it is definitely a tough but wise decision. In this you need to a strong will power along with family support. Here are some tips and remedies to quit the addition and get back on the path of sobriety. Everyone know that alcohol consumption is injurious to health; and it causes several health disorders such as liver damage, kidney problem, pancreatitis, heart disease, depression & anxiety, impotence, diarrhea, reduced immunity, headache, insomnia, cirrhosis, lack of judgment, weal memory etc. Here are some natural herbs, tips and treatments will helps to withdrawal alcoholism or recovery of alcohol addiction. Apple is best fruit to treat of alcoholism, this is an effective remedy with full of vitamins and nutrition’s. Take some fresh apple and boiled them, eat these boiled apple 3 to 4 times in a day to get effective recovery from addition. Couple of months with this procedure you will fully stop the consumption of alcohol & other addictions. Soak 500 grams of Carom seeds (Thymol, Ajwain in Hindi) in 8 liter water for approximately 48 hours in clay pot (or soak in a glass pot). Warm this mixture on slow fire and warm it until it remains 2 liter (¼ of total mixture); and leave it to become cool. After cooling filter well and preserve it into a bottle. Every time use 4 teaspoons of this water mixture (remedy) when you have a strong desire to drink alcohol. Use this home remedy on regular basis until quitting alcohol completely. Fennel is also an effective remedy used to quitting alcohol. It is cold in nature and beneficial to cure many diseases. Chewing some fennel seeds 3 to 4 times in a day or when you have a strong desire to drink alcohol. Try this home remedy regularly to kick the habit of alcohol. Cardamom is also an excellent natural herb; which is extremely helpful to get rid from alcoholism. Chew 2 cardamoms when you have a strong desire to drink alcohol, or use this remedy thrice in a day. Alcoholism is a different type of addiction; you need a strong will power as well as your family members also supported your to kick off this bad habit. Here are we discussing some effective & natural ways to quit drinking. If you are planning to quit drinking alone; and if you are a heavy drinker, then first go to consult your family doctor or consult from any specialist doctor and thereafter get the path to sobriety. You have to change lifestyle for quitting alcohol, you need family support, busy in interested events such as picture, writing, movies, playing and many more to get busy. You can also try to stay calm and sober. If you are depressed by the job then have another interested job to stay away from stress, depression and anxiety. You should feel your feelings and don’t try to live alone. Thus may be causes for stress and dispersion. So live happy and try to do some interested work to stay away from alcohol and its desire. When quitting alcohol, try to keep away from any problematic situations that may causes to stress and tense; which encourages drinking. To quitting of alcohol, throw all the bottles and cans of alcohol in garbage pail. Exercises and Yoga are the best physical remedies that keep your body fit and balancing; even these also works to stimulate positive energy in our body. Meditation is the best relaxing experiences and will help you to better focus on your goals; it also helps to increase the will power that most necessary to quit drinking. Drink 8 to 10 glasses of water in a day to stay hydrate; water is most necessary to keep hydrate our body. To obtain this tough decision, you have to take a better nutrition diet and foods supplements. 1. Eat more green leafy vegetables, salad and fruits. 2. Eat more foods made by grains and pulses. 3. More intake the vitamin and protein supplements. 4. Keep away from fast and junk foods. 5. Drink fruit juice twice in a day as you like. 6. Take Vitamin B supplement to stay away from craving. Thus all the method, remedies and tips to quit alcoholism, try to understand that we never do anything without you strong will power to quitting it. This all depend on you, you should have a strong desire of “I can quit drinking”. So this is the path to sobriety; try it and regain your prestige and social status in society; finally with hoping, you must encourage those people are struggle to quit drinking. one of the best article for quit alcohol drinking.I enjoyed this article. Thanks a lot.